The configurator is not up yet, but at least now we know the new X5 will kick off from $60,700. BMW took the wraps off the fourth-generation X5 (codenamed G05) about a month ago and already it’s releasing preliminary details about the midsize luxury SUV’s pricing in the United States. The cheapest version money will buy is going to be the xDrive40i at $60,700, which is only $1,200 more than the old 2018 X5 xDrive35i. Those willing to step up to the 50i xDrive model will have to fork out $75,750 or $1,700 more than the year before. In both instances, the starting price doesn’t include the destination and handling fees, which amount to $995. The price hike is justifiable in many ways as the new X5 comes equipped as standard with a multitude of goodies. 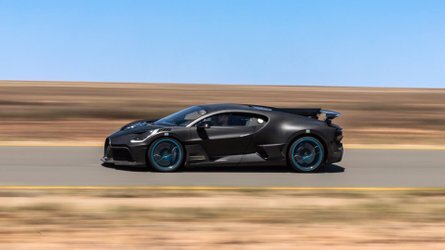 These include adaptive full-LED headlights, a panoramic glass sunroof, dual 12.3-inch digital screens, and an eight-speed sport automatic transmission with launch control. Not only that, but BMW will also throw in a Dynamic Damper Control system, USB-C ports for rear passengers, pre-wiring for 6,600-lbs trailer towing, along with many safety systems like Active Blind Spot Detection and Frontal Collision Warning with City Collision Mitigation. Reaching deeper into your pockets will bring extra toys like a heated steering wheel, remote engine start, laser headlights, and heated armrests. 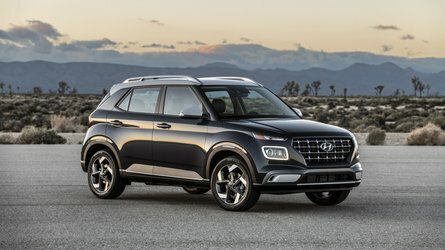 The options list also includes additional safety systems and even heated and cooled cupholders. Both the xDrive40i and the 50i xDrive have more power than the models they replace. The former with its 3.0-liter straight-six engine offers 335 horsepower and 330 pound-feet whereas the old xDrive35i had to make do with 300 hp and 300 lb-ft. 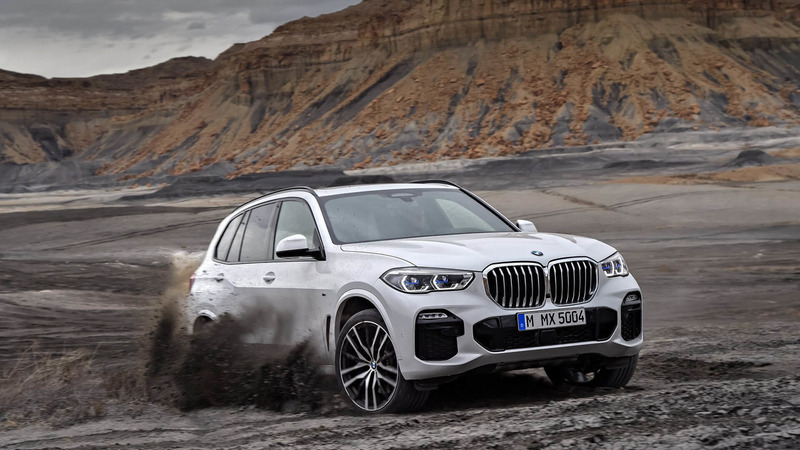 The V8 version utilizes an evolution of the 4.4-liter now pushing out 456 hp and 479 lb-ft instead of the previous 445 hp and 480 lb-ft.
BMW will sell the 2019 X5 in the United States in a standard xLine specification alongside a nicer M Sport Package trim level. 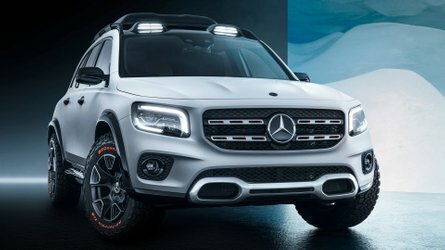 There will also be an optional off-road package featuring air suspension and a mechanical rear locking differential, as well as a factory-installed trailer hitch rated at 7,200-lbs towing capacity. 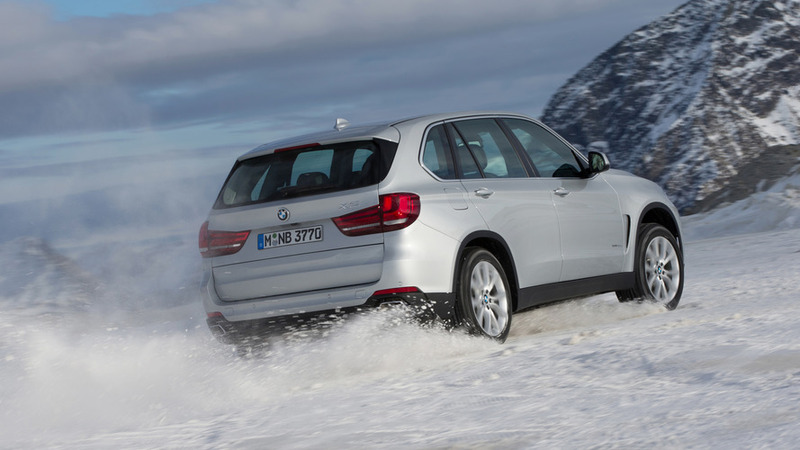 The fourth-generation BMW X5 will be hitting U.S. dealerships starting November 10th. Standard xLine and optional M Sport Package trim levels. 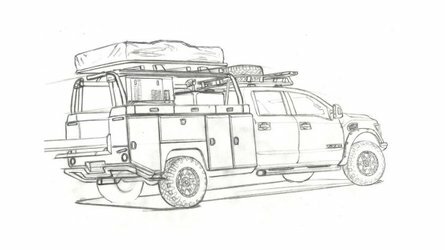 New Optional Off-Road Package with air suspension and mechanical rear locking differential. Optional factory installed BMW trailer hitch rated at 7,200 lbs. towing capacity. Standard USB-C ports for second-row seat passengers with multifunction bracket for BMW accessories. 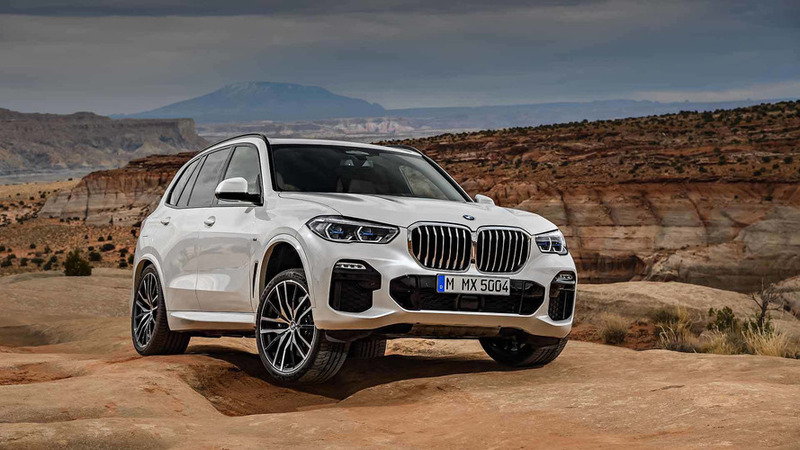 Woodcliff Lake, NJ – …Today, BMW announced pricing for the all-new 4th generation 2019 BMW X5 Sports Activity Vehicle, arriving in U.S. showrooms on November 10th, 2018. The 2019 X5 xDrive40i will be starting at $60,700 and the 2019 BMW X5 50i xDrive will start at $75,750 plus $995 Destination and Handling. 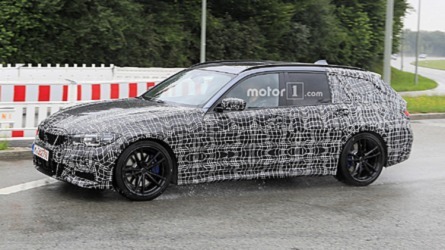 Standard equipment on the all-new 2019 BMW X5 will include a Sport Automatic Transmission with launch control, Dynamic Damper Control, BMW Live Cockpit Professional with navigation, two 12.3” digital displays, and running the seventh generation of BMW iDrive operating system, Adaptive Full LED headlamps, Active Blind Spot Detection, Frontal Collision Warning with City Collision Mitigation, Panoramic Glass Sunroof and pre-wiring for 6,600 lb. trailer towing. All new 2019 BMW X5 models can now be ordered with optional Remote Engine Start, the latest driver assistance systems, BMW Laserlights, heated steering wheel and armrests, as well as optional Heated and Cooled Cupholders.